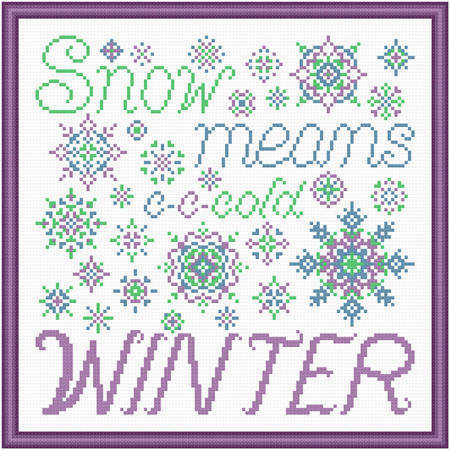 Snow Means Winter - Vivid cross stitch pattern... The wording - Snow Means c-c-cold Winter - is surrounded by different size and shape snowflakes of more vivid colors. Colors may be changed. Whole stitches are used.